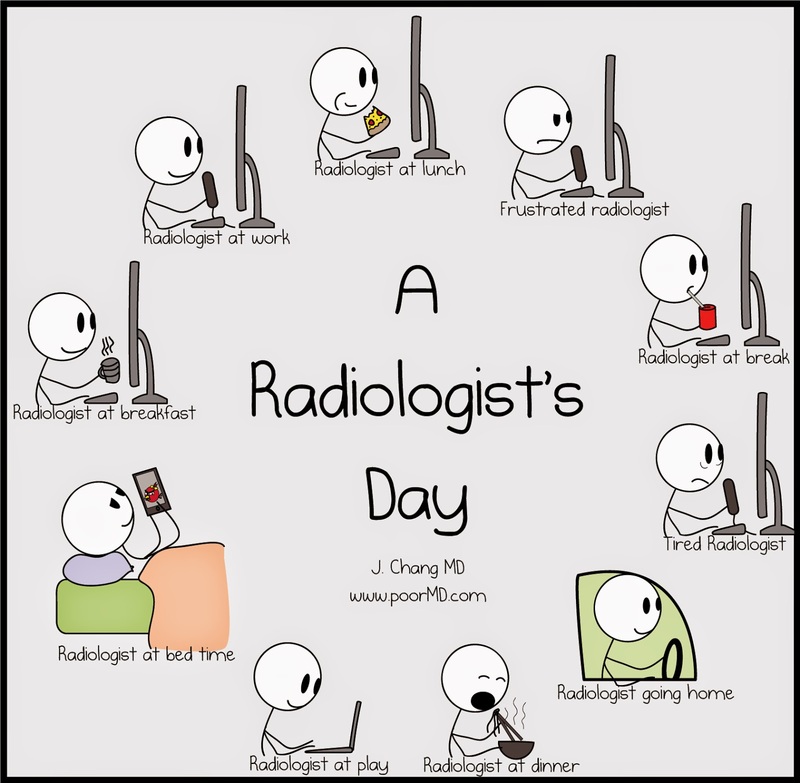 As a radiologist, I really appreciated this comic “A Radiologist’s Day“. You can click on the image below to see the full-sized version. The villagers’ affection for the doctor does not blunt their pain and bewilderment over the mass infection. Prum Em, Ms. Yao’s 84-year-old husband, stares with blank incomprehension when asked about the infections, which struck across three generations. There’s no specific evidence that this is what happened, but it could easily have been the case that this man’s family members intentionally took risky injections because “my family has only done good deeds, so surely the downside risk won’t happen to me.” I doubt that’s what happened, because there’s no evidence that the people even knew they were taking a risk. But the point remains. By messing with people’s rational calculations, the concept of “karma” leads in principle to self-destructive thinking. I’ve been slightly appalled by the way that the debate over vaccination has proceeded of late — particularly in the belligerent peddling of misinformation and calls for government controls. (I’ve seen that on all sides, unfortunately.) Alas, that’s to be expected when sick kids are involved. In any case, because I’m answering a question on Sunday’s Philosophy in Action Radio about whether people have an obligation to vaccinate purely for the sake of herd immunity, I thought that I’d compile some links for reading in advance. A word of warning, first. As you’ll see, these links are from a variety of perspectives, and I’m not vouching for them. You shouldn’t assume that I agree with them. They’re just to help inform you about the debate. Why Measles Outbreaks Terrify Me: A mom explains the risk that measles poses to her son due to his heart transplant. Don’t Vaccinate to Protect My Cancer Kid: A cancer mom explains why the unvaccinated aren’t the greatest risk to her kid suffering from leukemia. To the Parent of the Immunocompromised Child Who Thinks My Kid is a Threat: A mom argues that the unvaccinated don’t present a grave or unique risk to people who cannot be vaccinated. Growing Up Unvaccinated: A woman recounts her childhood of one illness after another, often preventable by vaccines. I Asked My Mom Why She Didn’t Vaccinate Me: An interesting personal story of a woman who wasn’t vaccinated. Five Things To Know About The Disneyland Measles Outbreak: An advocate of vaccination takes a look at the recent outbreak. Immunization Schedules and Statistics: About the current schedule of vaccination recommended by the CDC. Vaccination Schedules by Country: It’s a chart per country, so the comparison isn’t super-easy, unfortunately. National Vaccine Injury Compensation Program Statistics Report: Vaccine manufacturers are immune from injury claims: any such claims are paid for by a federal government program. This is the report on claims and payouts. Over $3 billion has been paid out since 1989. For more details, check out the question’s archive page. And with that… see you on Sunday! I woke up quickly, but I was pretty woozy for the rest of Thursday. (I got a CT scan that evening, and hooray, no bleeding!) So I just have a concussion. Basically, I got my bell rung, harder than I’d like. I wasn’t injured other than that, except that I bit my tongue. I was, of course, wearing a protective helmet and vest. So now I need to take life gently for a few days. That’s not easy for me, but I’m going to work at it. I’m really eager to get on both horses again, although it was a real treat to watch Eric Horgan ride Phantom on Friday. Anyway, the really good news is that I’ve made such good progress since that first night — to the point that I’m feeling pretty normal now. So I’m game to go ahead with Sunday’s broadcast of Philosophy in Action Radio. We’ve got some great questions on tap, and the first one is even relevant to my recent experience! Swantek, 45, of Royal Oak, said she went to Fata’s office for a job interview in 2010 when she saw patients getting chemotherapy in a manner that wasn’t correct. “I left after an hour and half. I thought this is insane,” she said. That same day, Swantek went home and wrote a letter to the state and suggested they investigate him. According to Swantek, the state did nothing and notified her in 2011 that they had found no wrongdoing. “I handed them Dr. Fata on a platter in 2010 and they did absolutely nothing,” said Swantek, noting she was elated when she learned the federal government charged Fata in 2013. A while back, I had to look up the spelling of Dr. Mengele’s name, and as a result, I came across this horrifying article: Why One Auschwitz Survivor Avoided Doctors for 65 Years. The transport to Auschwitz took two weeks. His sick father died on the journey. Upon arrival, they had to strip and submit to an inspection. Ganon’s mother and five siblings were then sent to the gas chambers. Yitzhak Ganon was taken to the Auschwitz-Birkenau hospital, where Josef Mengele, the so-called “Angel of Death,” conducted grisly experiments on Jewish prisoners. After the “operation,” he had to work in the Auschwitz sewing room without painkillers. Among other things, he had to clean bloody medical instruments. Once, he had to spend the whole night in a bath of ice-cold water because Mengele wanted to “test” his lung function. Altogether, Ganon spent six and a half months in the concentration camp’s hospital. Although I read a slew of books on the Holocaust last year, I avoided reading about the gruesome experiments of Nazi doctors. For someone to deliberately inflict suffering worse than death on innocent people, including children. As much as I want to recognize the historical facts and honor the victims, it’s far, far too horrifying imagine. Tests showed that Allen, 39, had a ravaging pneumonia caused by methicillin-resistant Staphylococcus aureus, or MRSA, an antibiotic-resistant bacteria once confined to hospitals and other health care facilities. Allen hadn’t been near a doctor or a hospital. Same with the next victim, a 54-year-old man, who came in days later and died within hours. And the victim after that, a 28-year-old woman, dead on arrival. Indeed, a deadly form of MRSA had sprung from nowhere, picking off otherwise healthy people. The cases thrust Iqbal and his colleagues to the front lines of modern medicine’s struggle against antibiotic resistant bacteria – perhaps the nation’s most daunting public health threat. No drug-defying bug has proved more persistent than MRSA, none has caused more frustration and none has spread more widely. In recent years, new MRSA strains have emerged to strike in community settings, reaching far beyond hospitals to infect schoolchildren, soldiers, prison inmates, even NFL players. A USA TODAY examination finds that MRSA infections, particularly outside of health care facilities, are much more common than government statistics suggest. They sicken hundreds of thousands of Americans each year in various ways, from minor skin boils to deadly pneumonia, claiming upward of 20,000 lives. The inability to detect or track cases is confounding efforts by public health officials to develop prevention strategies and keep the bacteria from threatening vast new swaths of the population. Now… go read the whole thing: Dangerous MRSA bacteria expand into communities. It’s well-worth a few minutes of your time! I was intrigued by the hypothesis that MRSA is carried by a certain low percentage of the population, then strikes when its host is weakened by flu or other illness. However MRSA is spread, the prospect of life in a post-antibiotic world is damn scary. Looking for a romantic partner takes time, energy and money. Sadly, many American adults are currently unrelationshipped. Who can they turn to in need? To whichever institution is in the best position to help, that’s who! A few years after the passage of the Affordable Relationship Protection Act, the website YourLoveMatch.gov will go live. Unrelationshipped adults can then create an online profile with the help of specially funded Coaches. Based on your individual selection criteria, an exciting new partner will be assigned in 4-6 weeks. Love at last! To provide the necessary funding, all adults will be required to set up an account or face a small penalty (this is not a tax unless it needs to be for legal reasons). Those already in a relationship will be required to register that relationship. Government is what we do together. IF YOU LIKE YOUR PARTNER, YOU CAN KEEP YOUR PARTNER. Any significant changes (like change of job or residence or a new tattoo) will require re-registration. Approval will be routine unless you’ve selected a substandard partner. In those rare cases, your new partner will be a big improvement! Sure there will be a few bugs to work out. A few kinks, some bumps in the road. But let’s all keep the end goal – happy relationships for everyone! – firmly in mind. Anyone against this WANTS people to be unhappy. Stride forward, comrades! Forward to the future! I’m looking forward to upgrading my substandard partner soon! Sure, I’ll have to pay a bit more, but I’ll get something much better, right? Right?!? 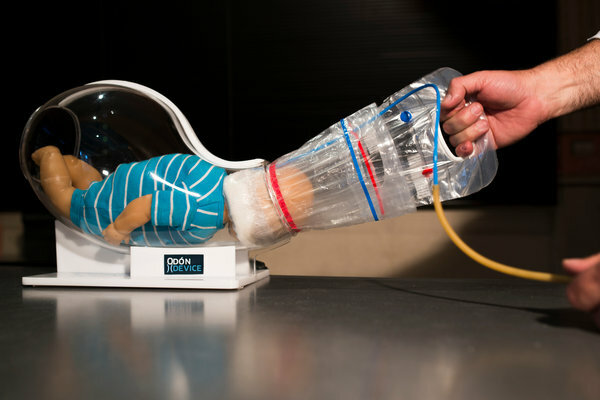 Paul Hsieh PJM Column: Will Tomorrow’s Medical Innovations Be There When You Need Them? Update #2: For those interested in the real-life technology used in the fictional scenario I discussed, here’s a nice medical slideshow from UCLA interventional radiologist Dr. Justin McWilliams, “Life-saving Embolizations: Trauma and GI bleeding“.